LYCANROC Night Version vinyl decal from Pokemon Sticker for Just about Anything! 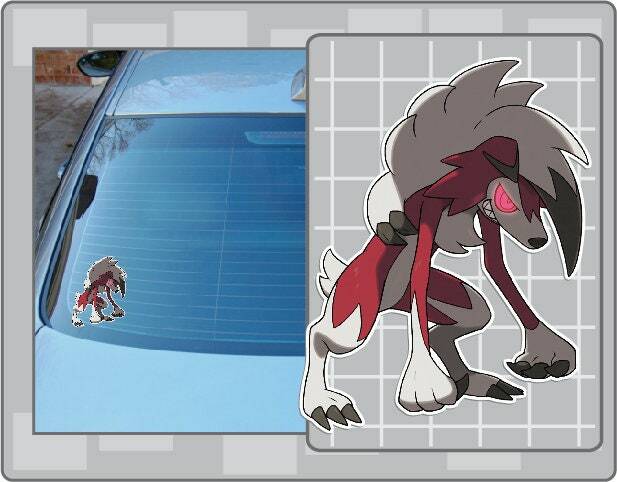 This is a LYCANROC from Pokemon vinyl decal sticker. HOUNDOOM vinyl decal No. 2 from Pokemon Sticker for Just about Anything! MIGHTYENA vinyl decal from Pokemon Sticker for Just about Anything! SWAMPERT vinyl decal from Pokemon Sticker for Just about Anything! SUICUNE vinyl decal No. 1 from Pokemon Sticker for Just about Anything! CHARIZARD vinyl decal No. 1 from Pokemon Sticker for Just about Anything! MUDKIP No. 1 vinyl decal from Pokemon Sticker for Just about Anything! MUDKIP No. 2 vinyl decal from Pokemon Sticker for Just about Anything! DEWGONG vinyl decal from Pokemon Sticker for Just about Anything! DEWOTT vinyl decal from Pokemon Sticker for Just about Anything! FARFETCH'D vinyl decal from Pokemon Sticker for Just about Anything! WARTORTLE vinyl decal No. 1 from Pokemon Sticker for Just about Anything! TOTODILE vinyl decal No. 1 from Pokemon Sticker for Just about Anything! TORCHIC vinyl decal from Pokemon Sticker for Just about Anything! TREECKO vinyl decal from Pokemon Sticker for Just about Anything! MUK vinyl decal No. 1 from Pokemon Sticker for Just about Anything!